Water can be easy to waste without even realizing it, but with these easy to learn tips you can learn to conserve water too. There are several ways to conserve water in different places in your home. I’m going to be talking about how to conserve water in a few places in your home. One of the places you can find ways how to save water in in your kitchen. You can conserve water by not leaving your faucet running while you’re cooking. Instead of washing your veggies under running water of your sink, wash them in a bowl of water and scrub them with a vegetable brush. If you plan ahead of time you can defrost your food by putting it in the fridge the night before instead of defrosting it in water. Contrary to popular belief, washing dishes by hand instead of using a dishwasher uses more water than a dishwasher does. If you do need to wash dishes by hand don’t leave the water running the whole time, just use a little bit of water at a time or use a tub to wash the dishes in. As for drinking water in your home, it is helpful to keep a pitcher of water in the refrigerator instead of running the sink every time you want a drink of water. The bathroom is another place you can find numerous ways to save water. One way how to save water is by turning off the water while you’re brushing your teeth either at the sink or in the shower. When taking a shower you can also take shorter showers to save on water since it is a lot of flowing water, and no matter what a shower is far more conservative on water than a bath. Another way you can reduce the water usage is by limiting the number of times you flush your toilet. The phrase “If it’s yellow, let it mellow” is commonly heard. It means to not flush after every single time you urinate. You should also avoid flushing used tissues that aren’t toilet paper since each flush uses several gallons of water. There are many ways how to save water when you start looking to the great outdoors. Watering your lawn is most efficient during the cooler parts of the day, take advantage of the cooler evenings and mornings to avoid evaporation.. Another way you can save water is to use your sprinklers effectively by changing when your sprinklers use the water, for instance, if it’s going to rain it’s obviously a waste of water to use your sprinklers as well. Change the trajectory of the sprinkler to make sure it’s not wasting water on sidewalks and driveways. One way how to save water when you’re watering your garden is to install a drip system instead of using a hose or sprinkler. 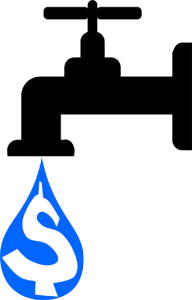 Call Best Plumbers Perth if you want to inquire about a drip system. They are more than happy to entertain your questions and give you a free quote. Outdoor pools also afford a number of ways how to save water, the first thing you can do is cover your pool when you’re not using it to avoid evaporation during the day. When you go to wash your car use car washes that recycle their water or use self serve car washes because they have nozzles on their hoses that prevents constant running water. Water is a resource we use every day. While the use of water is good, we have a tendency to waste a lot of water. I hope after this information is read, you will know a great deal of how to save water in the future. Contrary to saving water, leaks and drips can cause your water bill to shoot up. If you suspect any of these in your water system, call Best Plumbers Perth right away. We are experienced in any kind of plumbing jobs and repairs and offer top notch residential and commercial plumbing. When you go to wash your car use car washes that recycle their water or use self serve car washes because they have nozzles on their hoses that prevents constant running water. Water is a resource we use every day. While the use of water is good, we have a tendency to waste a lot of water. I hope after this information is read, you will know a great deal of how to save water in the future. 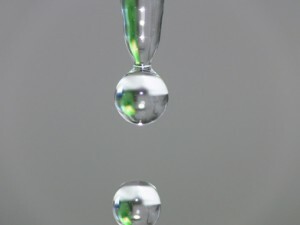 Contrary to saving water, leaks and drips can cause your water bill to shoot up. If you suspect any of these in your water system, call Best Plumbers Perth right away. 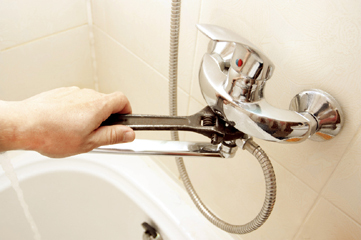 We are experienced in any kind of plumbing jobs and repairs and offer top notch residential and commercial plumbing.